Rogue Women Writers: Ghosts and Monsters Oh My! Halloween is upon us, and our topic today is Ghosts and Monsters. I'll admit, I love a good ghost story and I also love a good mystery. Not surprising, huh? But when you have a mystery solved as recently as 2013, well that's the best of all possible worlds! 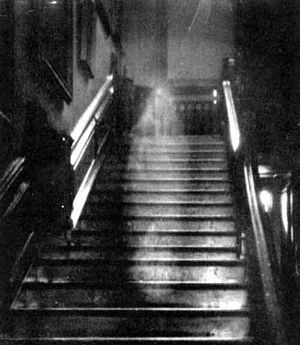 What surprises me about ghosts and monsters is how similar the stories are throughout history and between far flung cultures. Either humans are hard wired the world over to imagine the same things, or these things actually exist, but we haven't proven them. One of my favorites is MOTHMAN. This guy scares the hell out of everyone who claims to have seen it. And why wouldn't it? First seen in 1966 in West Virginia and then later by a couple near a TNT plant, it is said to look like a man with black wings, red eyes and brown skin. The sightings tapered off in 1967, but returned again in 2011 when a man claimed to see one near the Fukushima nuclear plant that melted down after the tsunami. Since the Mothman is said to be a harbinger of death, such a sighting seems to be laced with fear about the very real chance that the plant would explode. Mariners had the best tales of strange beasts and scary monsters. From mermaids, to the Sirens to the Kraken, a giant squid that grabs at ships, those mariners had an interesting life. 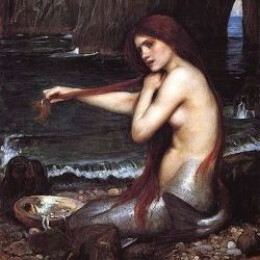 Most of the mermaid stories are explained by experts as a sort of mirage imagined by sailors after they had spent long months at sea and when drinking mistook a manatee for a beautiful woman. Now, I ask you, would you mistake these two, no matter how drunk you were? I thought not. Whatever those mariners saw, it wasn't a manatee, in my opinion. And finally, the mariners were right in those Kraken claims. In 2013, a group of scientists, including Edith Widder, took an actual photo of a giant squid. So before you rule out mermaids, let's remember that hundreds of years ago those sailors were right. Makes you wonder, doesn't it? Love a good ghost story. Thanks, Jamie. Hi Sandy! That ghost is interesting, huh? Wonder if she's real. And Francine-- I hope I didn't ruin your future beach vacations, but who knows-maybe one day you'll spot a mermaid! Oh Jamie -- what scary reminders of ghost stories along with all of those tales of sea monsters and all the rest. Even though we live near a gorgeous beach, I have to admit I swim in a pool every single day (I can see the bottom) Thanks for a great post! Itchy trigger finger--I love it! He and I would've gotten on famously... I went to college with a man who practices parapsychology, Dr. Ciaren O'Keeffe (https://www.facebook.com/drciaranokeeffe/?ref=page_internal). His professional career is based on this very topic!